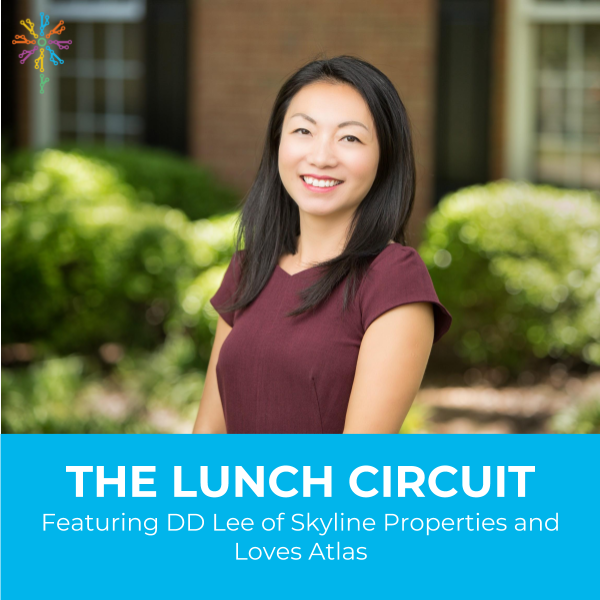 We now celebrate our NINETEENTH EDITION of The Lunch Circuit on Wednesday, January 9th at 11:30am-1pm. This time, we are honored to feature Cherokee County entrepreneur from the Woodstock and Towne Lake area, DD Lee. DD is the Broker/Manager of Skyline Properties Group, a residential property management company. In addition, she is the co-founder of an innovative new mobile app startup called Loves Atlas. DD is an active member of her local Rotary Club and very involved in her community. A wife and mother of two kids, DD is a hardworking entrepreneur and devoted to her family. We have seen first-hand DD’s unique talent to take an idea, form a team around it, and bring it to fruition against all odds. She recently pitched her Loves Atlas startup to an audience for feedback at our 1 Million Cups Cherokee program. The audience loved DD’s storytelling, her refreshing positive perspective and her passion to solve a big problem with an innovative solution.